← Arnold Bread and Visa Gift Card Giveaway! Who says the rain has to stop you from grilling? That’s what grill pans are for. And this great appetizer/snack is perfect whether you’re indoors or out! Heat grill or grill pan. Cut tops off peppers and hollow out, scooping out seeds. Set aside. In a bowl, combine cream cheese and scallions (amounts vary depending on how many peppers you’re making). Add a little bit of half and half or milk to slightly thin out mixture. Add salt and pepper to taste and stir. Stuff peppers carefully with a little spoon. Place on hot grill. 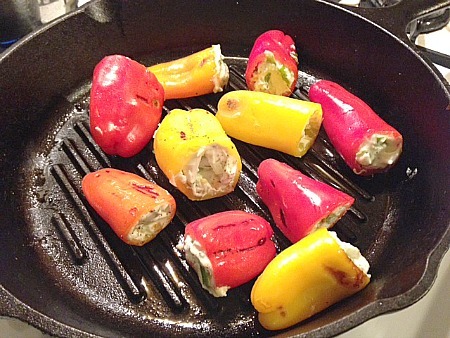 Cook for around 5-6 minutes, turning once, until cheese is slightly melted and peppers slightly soften. Serve immediately. 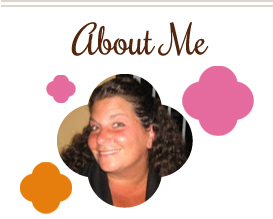 This entry was posted in appetizers, cream cheese, low carb, peppers, QuickAndEasy, side dishes, snacks. Bookmark the permalink.